Let the college's finest set of voices put a spring in your step. 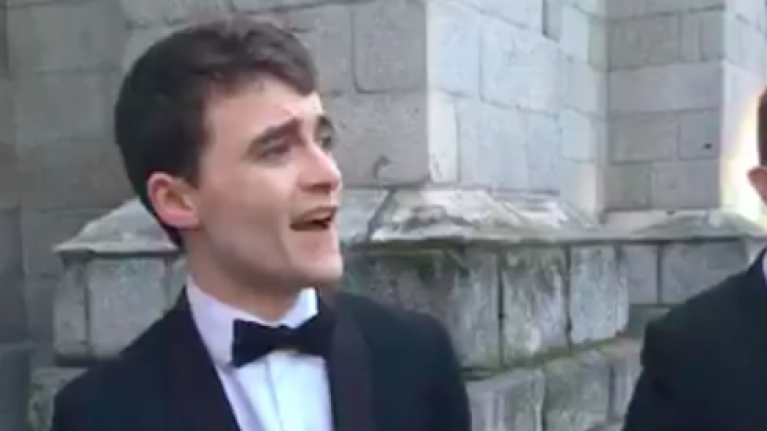 Trinity College Dublin's beloved a cappella group, Trinitones may have another hit on their hands after they decided to grace Facebook with their charming rendition of George Ezra's hit, 'Budapest'. The performance, which was streamed live on their social media page has already been viewed more than 29,000 times and it's easy to see why it's doing so well right now. Broadcast ahead of their performance at the 2018 Trinity Ball, which was headlined by Ezra himself, their charming take on his single already stands up next to their version of Wheatus' 'Teenage Dirtbag', which effectively brought them to a wider audience way back in 2013. Founded in 2012, the group is now in its seventh incarnation and alongside appearing on Ireland's Got Talent, they have also toured in Australia, Hungary and the UK.